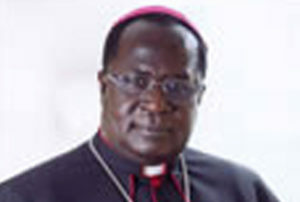 Archbishop Emmanuel Obbo is expected to lead the 2018 Martyrs Day celebrations. Courtesy photo. TORORO–The Archdiocese of Tororo is expected to lead the 2018 Uganda Martyrs Day celebration to be marked on June 3, 2018 at Namugongo Catholic Shrine. Tororo Archdiocese is to animate on behalf of Tororo Ecclesiastical Province which comprises the dioceses of Jinja, Kotido, Moroto, Soroti and Tororo. The 2018 Uganda Martyrs Day celebration will go along with the 100 year’s celebration of the martyrdom of the two Catechists from Paimol: Blessed Daudi Okello and Blessed Jildo Irwa who were killed in 1918. The duo are usually commemorated on October 18, but they will be remembered in a special way on June 3, 2018. The Archbishop of Tororo, Most Rev. Emmanuel Obbo, is to be the main celebrant during the Holy Mass. Tororo Archdiocese last led the Uganda Martyrs Day celebration in 1998. The testimony of the Uganda Martyrs to die for their faith in the imitation of Jesus Christ has inspired many pilgrims who make this spiritual journey of renewing their faith each year. Millions of pilgrims from across the world usually throng Namugongo in honour of the Uganda Martyrs. The devotion to the Martyrs has also transformed many people’s lives and has become the source of strength amid the challenges and difficulties many Christians go through in their lives. Many pilgrims who go to Namugongo usually come back renewed in their faith and encouraged to give testimony to it by their way of life. The Uganda Martyrs Day celebration is usually held in honour of the 22 Catholic Martyrs who were killed on the orders of Mwanga II the Kabaka (King) of Buganda between 1885 and 1887.